#Pitbull , Jennifer Lopez and Claudia Leitte Collaborate For The 2014 Official World Cup Song ! Pitbull and Jennifer Lopez team up once again for the World Cup 2014 which will begin June 2014 in Brazil. The title of their song is called,” We are one” which also features Brazilian singer Claudia Leitte. 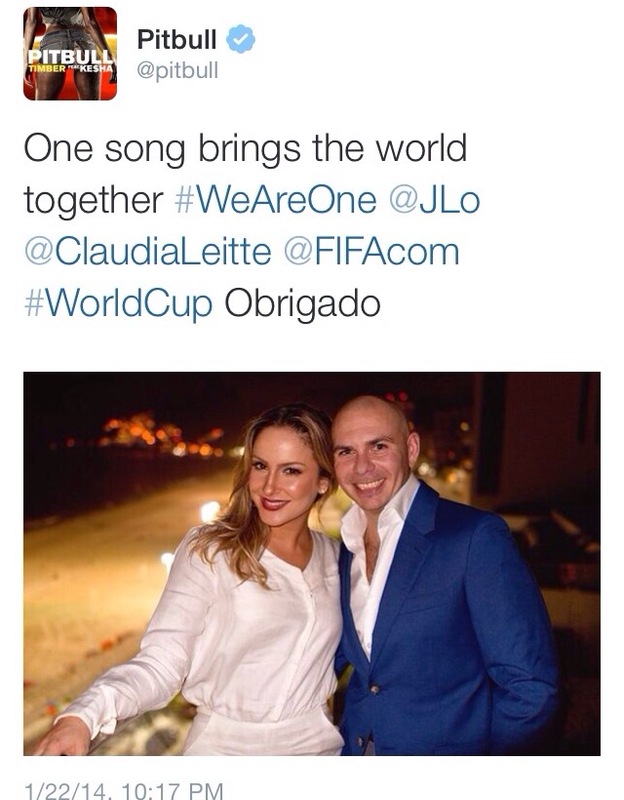 Last night Pitbull tweeted a pic of him and Claudia Leitte. The announcement is set to be made official today in Rio de Janeiro.